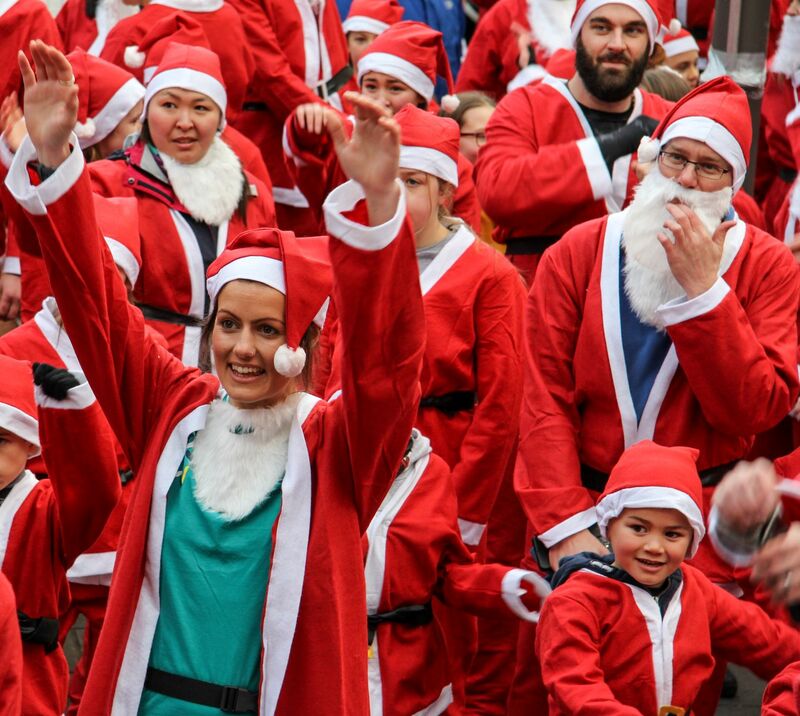 CancerCare’s first ever Festive 5K was a huge success and added an exciting new twist to the charity’s annual Santa Dash. 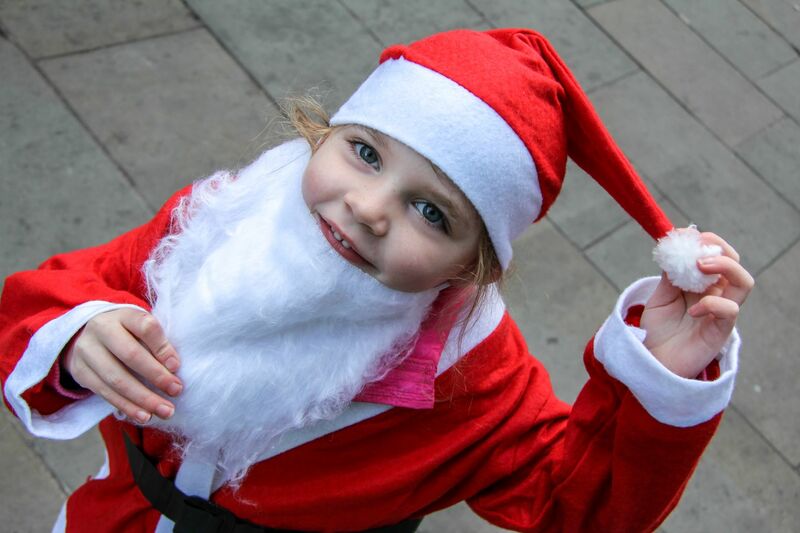 Santas of all ages created a colourful spectacle in Lancaster city centre on Sunday, November 25, as part of the Lancaster BID Christmas Lights Switch On event. 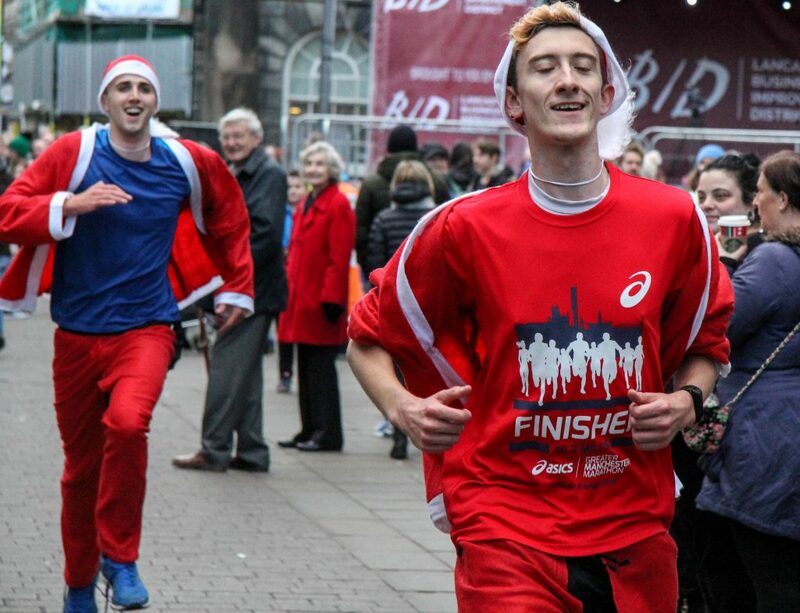 The winner of the Festive 5K was Jak Newby, 23, from Lancaster who is currently studying Law at Lancaster University. Second place went to Ben Eaton, 17, from Lancaster and third place, went to Ben’s dad, David Eaton, 48, from Brookhouse, who is an oncologist and a trustee of CancerCare. 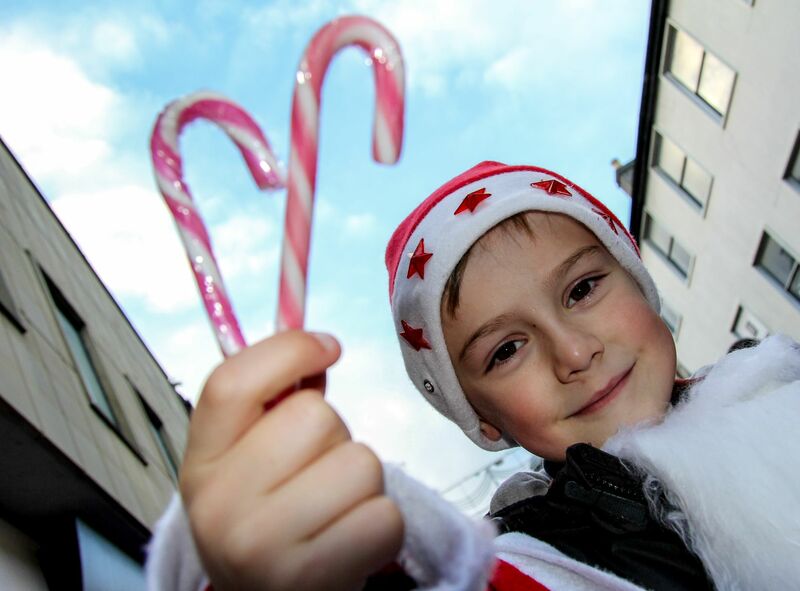 The lucky winner of the competition to switch on the Christmas Lights was Ethan Howes, 6, from Heysham, who attends St Peter’s Primary School. Ethan was the child who raised the most sponsorship with an impressive total of £400. The warm-up in Market Square saw 205 Santas dancing to the beat and having fun. Ashlea Harwood, who works as a personal trainer in Lancaster, kindly volunteered to lead the warm-up. Funds raised will be used to enable CancerCare to keep providing free therapeutic support such as counselling, aromatherapy massage and therapy groups for people affected by cancer over the festive season and into the New Year. The charity’s services are also available for relatives and friends of people with cancer. Richard Cogger, the event organiser from CancerCare, said: “We would like to thank our generous sponsors FGH Security Ltd and Holden’s Solicitors as well as 3-1-5 Gym and Lancaster Business Improvement District (BID) for their kind support.